Demand from businesses in the real economy is slumping. These particular layoffs aren’t happening because consumers are strung out and have trouble getting financing or are switching down to used vehicles or whatever. They’re happening because demand from commercial customers that ply their trade in the real economy is slumping. These trucks are used by construction contractors, oil field companies, and myriad of other types of businesses that ply their trade in the real economy. The F-Series medium-duty class 6 and class 7 trucks – just below the class 8 trucks you see hauling trailers across the country – are among Ford’s more profitable product lines. They’re an expression of business capital expenditures. They’re considered a gauge of economic activity in the US. Demand had been strong, unlike demand for class 8 trucks which had gotten mauled by the transportation recession and for which orders had plunged in late 2015 and much of 2016. But now, it’s demand for Ford’s medium-duty trucks that is slumping. The Ohio Truck Plant, which has produced 4,856 F-650 and F-750 trucks so far this year, employs about 1,600 hourly workers, Ford spokeswoman Kelli Felker said. It also builds the E-series cutaway vans. Most of the layoffs will be voluntary, Ford said. Employees with at least one year seniority will receive about 75% of their pay while on leave. 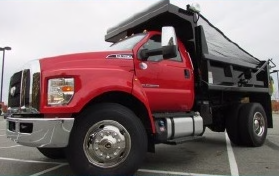 Ford blamed the demand problem on the planned launch of the new series of F-650 and F-750 trucks in September, and so, it said, companies are delaying purchases at the end of the product life cycle of the current series. But that may only be “some fleets,” as she said. She may be just trying to put a positive spin on it. If a company really needs to buy trucks to meet its business requirements, it doesn’t make sense to wait until a new series comes out. 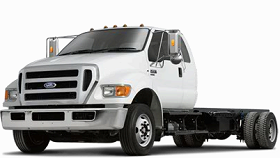 The equipment put on the chassis by specialized vendors to turn it into a usable truck costs an extra bundle. So the benefits of waiting to get the latest and more costly chassis with hopefully slightly higher resale value down the road aren’t significant. 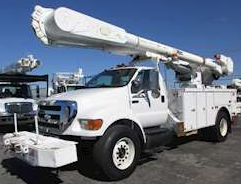 But the costs of waiting, if the company really needs that truck, could be significant. So the fact that companies in the real economy are now choosing to curtail their orders has meaning beyond the 130 layoffs. 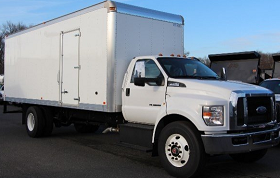 That something isn’t quite right in the commercial world and its demand for trucks also became clear in the sales data for light trucks in April reported a few days ago. Light trucks – pickups, SUVs, and vans – had been a powerful driver of total sales for years, even as car sales have been dropping. But in April, sales of Ford pickups (a new series!) dropped 4% year-over-year, and sales of Chevy pickups plunged 20%. Consumers maxed out on debt and businesses see no revenue growth so why reinvest. Could the answer be to stop suppressing middle class wages? If consumers don’t have any disposable income, demand for consumer goods drops. Raise taxes on the 0.1% and use the funds to build infrastructure – thus creating jobs – and more consumers will be purchasing goods. (On a side note – eliminating corporate tax loopholes and bringing back a 90% tax bracket on those making more than $1MM per year would help, too. Imagine how many jobs would be created if fewer executives made 7-8 figure salaries – freeing up funds for more worker-level jobs. Plus, salaries are tax deductible, so the lower the tax rate, the more it costs to hire workers in net after taxes dollars. On the other hand, how about having a flat tax with a $24,000 first income being without tax liability, and after that all income regardless of type being subject to an equal flat rate. Wages, capital gains, dividends and carried interest all deserve the same taxation percentage IMO. “With liberty and justice for all.” This means we should all be treated equally, but a 90% tax rate on those that succeed is far from equality; do you think differently RepubAnon? We already have a ‘Progressive’ federal taxation, why not just have Uncle Sam take a 100% after a million bucks? I made just a bit over $12,000 last year, and pay almost $2000 in tax. So, at an income of $24K, which would be a huge amount for me, I’d have to pay $4000 in tax. Having the first $24,000 tax free would have a huge impact. Keep in mind I’d probably doing better than half the people in my area. The federal standard deduction = $6,300. You also have 1 exemption for yourself = $4,050. Without doing anything else, you can deduct this $10,350 from your $12K in income, leaving you $1,650, which can probably further be whittled down, including with a credit or two and some other steps. But even on $1,650 in taxable income, you’d be in the 10% tax bracket, so you’d pay $165 in fed income tax. Not $2,000!!! If you’re self-employed you’d have to pay self-employment taxes (Social Security, etc.) of 15% of your business income (surely you have some deductions there). And half of the self-employment tax is deductible from your income. From what you’ve said, you rent in Cali, so you get the $100 renter credit. So most likely, you’re paying next to no state income taxes. Dude, if you claim that you made $12K last year and paid $2K in taxes, my BS-o-meter is redlining. People here in Oz were talking about a modified guaranteed universal basic income combined with a flat tax. It has some merit when considering the amount of time & money spent on accountants, tax lawyers, government staff and all that other BS in dealing with government in the area of pensions and welfare. Why in the world should somebody just over the minimum wage pay around 10% of their income in tax yet people with millions in income be able to play the system and not pay any income tax at all? And this doesn’t even consider the impact of other taxes such as a value added tax (sales tax), gasoline taxes, retirement, healthcare, or a myriad of others that impact the low end of income spectrum. No wonder people think that capitalism doesn’t work! Wolf – YOUR BS meter is redlining? Yours??? How about MINE???? I did the math, did the 1040 and the C and the SE, and that’s what I have to pay. Since I’m a 1099, independent contractor, that’s what I have to pay. Yes, there’s that $4000-odd deduction. There’s not any $6000-odd deduction, I know, I went through the forms very thoroughly. Essentially, I need to set 20% aside to have a decent amount to pay taxes out of with a reasonable “cushion” because on my income of $12,750.00 I’m paying almost 20% taxes; I think it works out to 16% or 17%. I know this site isn’t “for” people with lots of money but it is populated by people who have 1-2 orders of magnitude more money than I do. And besides this site being interesting and a lot more mature than some other sites, I feel it’s important that people like me participate here, because we do exist. For every person with the kind of money (enough to actually considering dipping a toe into the stock market!) there are 10 or 20 of me. We’re the people not buying cars. Or houses. Or, at times, food. We’re the people, the masses, who are supposed to save the economy by waking up one morning and going out and spending like crazy, but we haven’t got it to spend. Get some tax software or get some tax help. You’re completely off in no-man’s land with your theories. If you’re not even aware of the “standard deduction,” you need help. Trump even talked about doubling it. It was in the news – and you missed it??? Under the US tax system, you should not be paying hardly any taxes as a 1099 with 12,000 in income. Seriously. In the US, does not the electronic filing checker or a human send a letter that says . There is an error, You appear to have over paid??? The tax gathers system should be alerted to his return as it clearly does not add up. In the US, you really have to know at least the basics or let someone else do it for you. Tax preparation software isn’t expensive, and it’s very good. I think I could do Alex’s return in less than one hour with Turbo Tax (if he has all his info together), and in the end he’ll have to pay almost no, or no taxes. I’m just shocked about the way he is doing his taxes. But that is how our system works: those who don’t know get screwed. The American tax system is just BAD. Our revenuers were forced to run a “Its our job to be fair ” program over failure to return or notify overpayments. all returns at some point in time are at least low level accuracy checked. Asyou say at 12k he shouldn’t be paying anything effectively, the IRS system should be picking up his error. I a retailer fails to make an honest attempt to return an account overpayment, thats theft. How is the IRS any different. Alex is right, because he is self employed his social security and medicare taxes are all paid by him. The self employed tax rate for this is 15.3% which comes out to $1836 off the top on his $12K in income. He probably doesn’t pay any federal taxes but to him it makes no difference. At the end of the year he is out $2K. Even his self-employment taxes shouldn’t be that big. You pay self-employment taxes on your schedule C profits, not on revenues. Where are the expenses? Half of the self-employment taxes are deductible. The equipment he buys for his activity is deductible. The portion of this home that he uses for business is deductible. If he needs the internet to work, his ISP costs are deductible, as is his phone if he uses it for business…. He can deduct all kinds of legit things on his Schedule C. His situation is just crazy. But if he wants to donate his money to our needy government, that’s great. He’s my hero. I think Petunia has it right. This is why a lot of low paid contract workers in various small businesses take a big chunk of their wages under the table in cash. If they don’t, they starve. Wolf – I *DID* take the standard deduction. It’s $4000-odd, there is no $6000-odd deduction *TOO*, there’s just the one. Look, the little guys pay the lion’s share of the taxes in this country, unless they raise a ton of kids and have a house and a ton of write-offs. But as a single, non-landowning type, guess what? I get to pay lots of taxes. And of course I can’t afford to “buy” a spouse and raise a squad of kids, get a house etc., so here I am. I’ve been through the 1040 form more than once in a my life and this is how it works. It’s not “theories” it’s the numbers, in simple black and white. Alex–you are my hero! I am desperately trying to find a way out of working in the public sector. I can assure that our friends at the IRS will not audit you if you overpay. I’ve been audited twice in the last 11 years. Yes, I paid back my debt to society, with interest. I also pay a CPA to do the family’s taxes. The system is esoteric, intentionally. It creates jobs… Since we are on the topic of taxes and the economy, constituents are overdosing on blue pills if they believe a 15% corporate tax rate will benefit them. THIS WILL ONLY BENEFIT STOCKHOLDERS AND THE 0.1% OF THE ECONOMY. The deficits required to fund such stupidity would far outweigh even the finance jobs created to implement all the stock buybacks. Wolf, is that all you make in income??? We need people such as yourself to work in government!! Dear baby Jesus–sit on a municipal board…YOU HAVE MY VOTE!!! 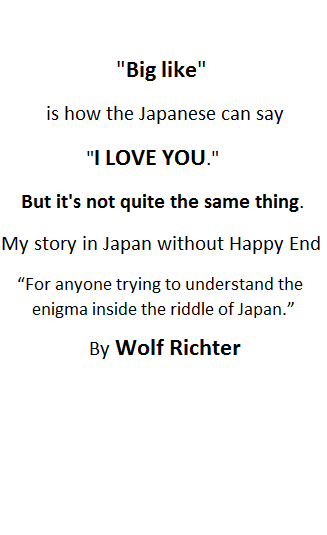 Listen to Wolf, he’s right. If you do not take every possible legal deduction you can, you’re simply a chump (not a martyr). There is nothing glorious about overpaying on your taxes dude. The gov’t lights most of the hard earned cash they receive on fire anyway. What a ridiculous statement. Anyone who has ever worked in a business would know that. Just as ridiculous as lowering the minimum wage to US$2 an hour. Lee: It is just as ridiculous as raising the minimum wage to $15.00 per hour. The world is saturated in credit/debt. The average working person in North America is financially tapped out. In Canada household debt to income is 167%. In my opinion this ponzi scheme that we all have been living in is just about at its end. I am 69 years old and I remember when I was making $2 an hour. The Government couldn’t tax me very much because I was not making enough to tax. A 12 ounce beer was 20 cents. Gasoline was 35 cents a gallon. A first class stamp was 6 cents. Candy bars like Hershey or M&M’s were 5 cents. If we could only go back to making 2 dollars per hour. SaveUs I’d love to make $2 an hour ….. in US silver Roosevelt dimes, which works out to $23.60 an hour. The money changed in what, 1965? Prior to then, I find it useful to think in terms of the 90% silver coins that were in circulation then. Many people are still making money. America has one of the highest proportion if millionaires in the world. It is all about being smart, ambitious and knowing where you can make the money. Those who still depend on wages are morons. Not everybody can be successful in Business. Calling those who recognise this, and work for others, “Morons”. Is unnecessarily unpleasant, and tell us an awful lot of unpleasant thing’s, about you. Lifetime employees, should attempt to secure additional income stream’s of some sort, if possible. There is a difference between wage and salary. I meant mostly who depend on wages, not necessarily those making day salaries. As long as you live by yourself on an island, that works. In a society you get more guns, more homeless people, more slums, less security, more fear. Lovely. You could not pay me to live in the US. I prefer a society with a lower rich to poor gap, a place where everyone can get health care if needed, and where you don’t need to carry a gun to feel safe. I’ll make do with less “stuff”, and be happy with more “peace of mind”. Life ain’t only about a race to have more crap, despite what conservatives say. Health insurance for all? No need for gun ownership? Less inequality? You must be some kind of Commie Pinko Bolshevik Librul Egghead Gay alien! Well, then probably then you should try to make good money with which you can buy healthcare. At the end of the day, it is just another commodity, those who cannot afford it, will die sooner. That’s how evolution works. I don’t but much of crap either, but I know I can give healthcare for those I care about. You should really understand money better if you are too provide for your loved ones, instead of whining. America still had a lot of opportunities to make money, although I made mine in Hong Kong. Nice thought, but for heavy hauling or regular service in areas with moderate to high topographic relief battery tech has a long, long way to reach the onboard energy potential (=mileage) of petrofuels. For regular service in flatland areas with economical&fast recharging, maybe. Have a great day. FYI ; Wolf .. in regards to labor/jobs etc . Read page 735 of the almost 2000 page budget Congress just passed doubling the number of H2B visas [ unskilled non-agrictulral workers ] over the next five months ? Brilliant . Spend millions ( if not a billion ) to send em home [ $30-60k per ] .. only to turn around and beg more to come in . Sigh …. Make America .. something again ..
“FYI ; Wolf .. in regards to labor/jobs etc . Read page 735 of the almost 2000 page budget Congress just passed doubling the number of H2B visas [ unskilled non-agrictulral workers ] over the next five months ? How about make America only have legal immigrants again. How does an overpriced truck bubble end? I spent $2500 this year on my now 31 year old Toyota 4X4. It has new fenders, repaired doors, and a VW racing green paint job. This winter I had a guy flag me down and ask if he could buy it? Maybe my son, who is an electrical contractor, might be able to afford a lift truck if this keeps up. Meanwhile, he uses a fibre-glass extension ladder as needed. His apprentice has climbing spurs. :-) They do pretty well, actually. Cheaper to rent as needed than own. Most days a lift isn’t needed, and when it is the customer is billed for it, anyway. F150s have become something of a status symbol. I have a golf buddy who owns a Ford dealership. He has a large number of customers that he knows are paying well over $800/month on 6-7 year loans with almost nothing down. But they will make that payment before their mortgage payment. He has a party every year for his F150 customers when they roll out the new year’s model. He can make more on that one day on trade-ins than the rest of the year combined. There is a reason why they cut up Bulk carriers and Particularly oil tankers at a certain point in their lifecycle. The same reason daily working trucks have to be replaced. The F100 camper example is flawed as the F100 camper. Does not do X thousand miles per week, or X hours per day on work sites. The F1/2/3 series pickup, is, and always has been, the best pickup in America. Not matter what propaganda garbage GM claims. Personally I don’t like the look and unnecessary electronics in the new try F1/2/3 series or in the new toyotas either so If I was buying a new one I would have to look at the application and region specific issues with each. The Toyota seems to have a better small diesel range. The F1/2/3 series and the Toyota are the only two pickups to choose from. Globally. Trust me, there are no shortage of huge egos overcompensating for their proverbial tiny wee-wees. Plenty of people in the electrical engineering industry who believes their expensive tools is an acceptable substitute for their poor skills. Here are two examples of businesses that are not buying trucks and why. ATT and Comcast/Mastec. Have friends that work for both, and they worked bucket trucks as shown above. ATT as the copper comes down, the service guys are not being replaced, neither are the trucks. Thank wireless and fiber for that trend….fewer personnel and different vehicle demand which is often just a van. The Comcast/Mastec contractor says the fiber/coax maintained gear is near zero service, and the lines are built out to such a degree, that new installs are getting hard to come by. Comcast/ XFinity at least in my area [ Denver ] lately has been gravitating towards using Rentals and Privately owned [ by the contractor / technician ] vehicles rather than replacing / increasing their fleet . Yet. the economy has its lowest unemployment numbers in 10 years! As is the credibility of those numbers, which are designed to make equities go up and make people think the economy isn’t getting liquidated. Ahhh Mr Ehawk . The dirty little secret when it comes to the governments ‘ official ‘ unemployment numbers under any administration . Those numbers only reflect those still receiving unemployment benefits .. not the number of folks actually out of a job who’s benefits have run out . Baked into the cake…called the birth/death model. It is really convenient if you need imaginary numbers to publish! All those waiters and bartenders tilt the numbers too. Please remember to tip them, cash is nice… most make under 2.00 an hour and their tips get taxed and if you use a credit card that also gets taken out. Hard to tell the new Ford pick-me-up truck from the Chevy. Both so ugly. 250,000 miles on my Cummins (with a Dodge sheet metal wrapper) Maybe another 250,000 and I’ll look at upgrading. 180000 miles on a 1997 Ford Explorer XLT AWD made in Canada. Just put on 2 new front tires, did a front end alignment and shocks. I believe 250000 miles is not out of the question. It should go 400. I know several people who have almost 500,000 km on theirs and they look and run very good. 400 miles is very reasonable with regular servicing. Anyone know how big a player is Ford in this market? Its market share? Who are the other major players? Freightliner (Daimler) is the largest player in the Class 6/7 with about 35% of market share. Navistar (formerly International Harvester) is around 20%. Then you have all the others: Paccar, Ford, GMC, Hino (Toyota) etc. Next year Isuzu is returning to the US market and there are rumors Volkswagen is considering entering the fray with their MAN brand as well. The lorry market is absolutely brutal and needs big investments: not only are manufacturers always under pressure to increase reliability and driveability and reduce fuel consumption, but four stroke diesel engines have been squeezed so hard (in efficiency/performance/emission terms) over the past decade the law of diminishing returns is hitting R&D divisions without mercy. The focus is now on automatic gearboxes: the engineering challenges are massive but the potential returns in terms of driveability and fuel savings are very palatable, especially now that the low-hanging fruits have all been long picked. Any manufacturer falling behind the race is bound to see sales suffer as fleet managers desperately battle to grind away dollars where they still can: International Harvester used to be the absolute leader in Class 6/7 lorries with well over 40% of market share. But then they had issues making their engines emission compliants while at the same time delivering fuel savings and Daimler literally trounced them, with the spoils picked up by other players such as Hino until IHC finally managed to put the situation under control. Having managed a Certified Ford fleet installer shop outfitting Ford F-750, and Freight liners primarily, I would say the big oil players cut back on CAPEX spending last year. Most do their budgeting by end November and place orders through Q1 for new equipment. We scheduled truck deliveries against their order volume and our throughput ability. If the Chasis manufactures are feeling the pinch now the order volume for 2017 was light. Our last truck deliveries were usually mid to late November with delivery before Christmas. It’s that whole managing inventory and cash flow thing. And the new model thing is no go. If BH wants 200 gas service trucks and our best source was the F-750 why would they take 120 of 2016 and 80 new model 2017’s, not how it works. In 2016, Ford sold 15,486 F-650 and F-750 trucks, and its market share rose BY 5.2 points, but I don’t know what its actual market share was. In 2016, all medium duty trucks combined (class 4 – 7) sold 207,000. But only a smaller portion of it would have been class 6 and 7. Our fleet of mixed year mixed size (F150 -F550 and F8) units have been undergoing continuous re-evaluations and rebuildings. We have stopped purchasing new units. So far in 3+ years we are financially way ahead with this program. The new tax plan the president wants to pass includes a provision for allowing companies to expense everything. Maybe that’s what businesses are waiting for. If they wait they can be assured of the expense, instead of taking a chance and getting stuck depreciating the trucks. The new plan will allow them to pay for the trucks with tax free money. That’s great in year 1. Kicks you on the backside in year 2. Though nobody cares about anything other than the current quarter. …… three guesses who’ll be making up the difference . You .. me .. and every other tax paying citizen of the US . So next time anyone tries to convince you what a great plan/rabbit hole something like this this is … just remember one thing .. There Is No Such Thing as a Free Lunch ..
….cause in the end .. somebody always pays .. and more often than not … its you . Thank you so much for that last sentence, TJ. TANSTAAFL, indeed. It is always the way .. blame someone else .. never look into your own shorts to see what’s up. Knowing is half way to solving the problem & yep .. it is a consumer downturn. I don’t understand all this negative data – vehicle sales falling, house prices falling , rents falling, inflation non existant etc etc etc. However the markets are booming. CNBC assures us everything is a buying opertunity. What have I and many others missed. As I see it here are the things that appear to suggest that nothing is going to fall apart. 1 the stock markets have a system called circuit breakers that will prevent any future crash. Once the stock prices drop a certain amount the markets will close. To me this says your money is no longer yours to control. 2 There have been trillions of dollars introduced into the financial system which will take years to get rid of. 3 The number of small investors in the stock markets now is small compared to 10 years ago. Most stocks are controlled by large cor porations/hedge funds these groups hold their stocks for many years knowing that they will eventually go up. 4 The Central Banks have so much skin in the game now they can not afford to let anything go wrong. They will just print more money. 5 As long as municipalities adhere to the UN Agenda 21 (reducing the physical size a city can grow) then land prices will not go down. 6 The “rules ” that used to govern the markets, which are the ones the people on this site still go by, do not exist any more. 7 Because of CB market manipulation it will take many years and a lot of government will to allow a proper reset of the markets. I think a lot of people have missed making a lot of money over the last 2 years because they were waiting for the big down turn to come. Here on Mars, we can’t cope with the demand. We increase the production 10% per day, and still everything goes off shelf in less than a day. I spend a lot of time in that country and i don’t see the picture he paints either. Smells like a government employed leftist. I’m sorry; I wasn’t being sarcastic; we really are increasing production 10% per day :) on Mars. “TREASURER Scott Morrison is using the release of data showing the economy shrank in the September quarter to demand support for the government’s economic plans. The national accounts, released on Wednesday, showed economic growth declined 0.5 per cent in the quarter, dragging the annual growth rate down to 1.8 per cent. Somebody may be getting their data crossed here, NZ has never had a mining boom. Or a mining boom economy. Scott Morrison is the AUSTRALIAN Treasurer. Yes they have significant issues that’s why 43000 NZders living there returned to NZ last year. Im an right wing supporter who has no time for govt involvement in anything other than Education Health Roading and Defence. I am just telling it as I see it. Look up house prices in Auckland or any other town or city here. The builders can not keep up with the demand. That’s the thing; economy of all these countries like Canada, Australia, New Zealand all depend on building homes; a great part of GDP is based on building new homes. That’s one ponzi skim that will eventually get crushed under it’s own weight. Australia, New Zealand Do not depend on building homes. When other parts of their commodity Economies drop off house building taker up the slack. As Australia and New Zealand were forced into allowing offshore ownership of residential Properties, their property markets have been turned into massive bubbles by foreign speculators. Speculating and laundering money in a market with insufficient supply, to allow 10 % of the stock, to sit vacant in the hands of foreign speculators. NZ and Australia need to bring in very heave non occupancy taxes. To help alleviate this situation. Every street in Auckland and Sydney has a least 1 vacant house, owned by a foreign speculator. This drive the bottom of the market up as it further reduces supply. own/operate 2 small businesses. Doing that most or our working lives…most of our friends are other owners. We are buried by work. Have not seen this level of new construction since pre-housing depression. Finding employees is the road block. What I live…vs what I have read on this and other sites does not add up. Not doubting…..just does not square with what we are experiencing with our businesses ( one tied to construction..the other fast food ). up a business. Endless options. A lot of gray hairs heading to the sidelines….a generation that believes it takes a college degree & corp.or govt. job to make it. Try training or retraining some. Retraining local older people, as opposed to only local young people, who will always run away after training, for some time, works.